Do you get a feeling of panic when you check your emails? Are you faced with hundreds of unread messages, all with subject lines clamoring for your attention? If so, you’re not alone. 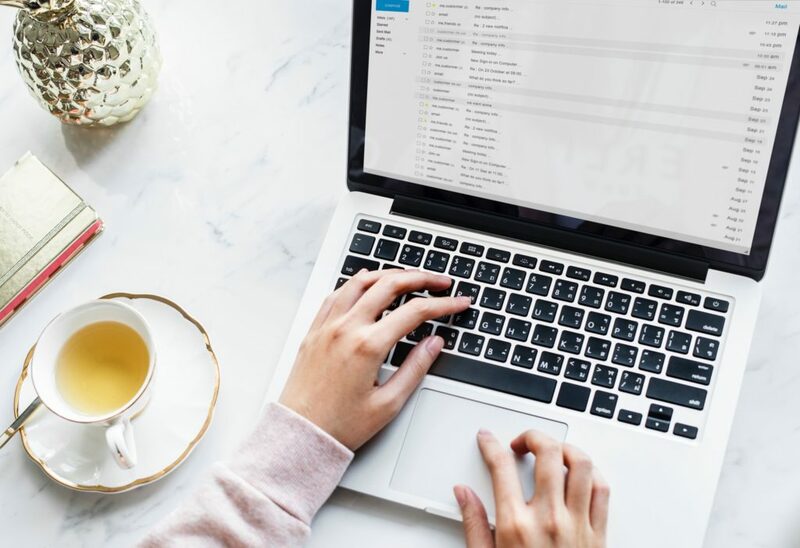 Despite instant messaging becoming popular (think texting and social media) email is still a primary form of communication. This could be with our best friend, co-worker, boss or even complete strangers. But when you’re regularly bombarded with junk messages, it can be stressful trying to keep control of your inbox. How are we supposed to stay sane? 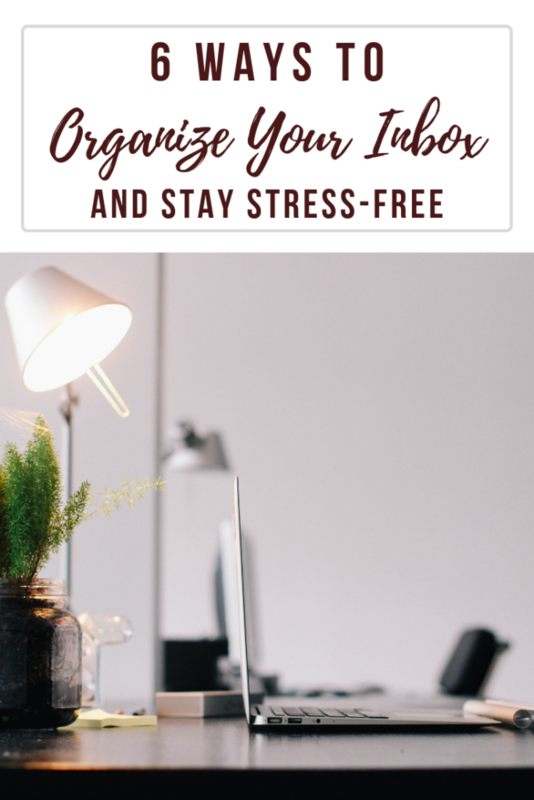 Thankfully there are strategies you can utilize in order to de-clutter and organize your email inbox. I’m going to take you through some of my favorite methods in this How To article. These strategies can help you regain control and, in turn, be much more productive. By using these strategies you can ultimately achieve a state of ‘Inbox Zen’. Isn’t it annoying how much ‘junk’ mail we receive, day in and day out? Newsletters, promotions, sales, you name it; they all appear defiantly in our inboxes. It’s almost impossible to sift out the important messages that actually need our attention. Unfortunately when these get lost, that’s when the stress really sets in. While there may be some regular emails you love to get (the helpful monthly newsletter from Consider It Done for example…. ), much of it is junk that you’re never going to read. When you see an email which falls into this category, unsubscribe right away. Your email client may even have a tool that allows you to delete all messages from the same sender for you. Don’t kid yourself into thinking you might get round to reading it eventually – if it’s been sitting in your inbox for more than a week, unsubscribe! Once you’ve done a round of unsubscribing, you’ll almost certainly still have a ton of old junk messages in your inbox. Simply search for each one by the sender, highlight, and delete all of them in one go. Boom! As well as junk mail, try getting rid of your old emails. Pick a point in time, maybe a year, and delete everything older than that. Do you really need a wedding invitation from 2006 in your inbox? Unless it’s something important that you need to keep (archive), be ruthless and DELETE IT!!! You will feel a weight lifted from your shoulders as your inbox size decreases! A good way to regain control is to categorize your emails. You can then file them away into the appropriate folders you’ve created within your email program. These folders can be labeled by topics (‘Travel’, ‘Family’, ‘Events’), or they can be sorted according to priority. If an email needs an immediate response, and you can do it in 2 minutes or less, then go ahead. Give it your immediate attention and then delete or archive it. Something you need to action at some point today? Go ahead and put it in a ‘Today’ folder. For something less urgent, you might create a ‘This Week’ folder. What if it’s something that doesn’t need your attention, but contains important information? You can pop it in a folder labeled ‘FYI’ or ‘Reference’. Once you’ve created these folders or files, it’s time to blitz that inbox once and for all. Grab a coffee, light a candle, whatever helps you relax, and get purging! Most of your emails should fit into one of the categories above, whichever ones you have chosen to suit your needs. However, if they don’t – just delete or archive them! You can do it! Once you have blitzed your inbox with this strategy, you should be well on your way to inbox heaven! I think of managing my email the same way as I manage my home. I try to evaluate each item quickly and determine if it brings value or not: just like with the Kon Mari Method of organizing (read more about that here.) If not – get rid of it! When you’ve reached your inbox goal or as close to it as possible, you need to maintain it. It’s a good idea to set aside some time each day, preferably undisturbed, to go through new emails. Although you may have finally sorted, filed or deleted everything from your inbox, it doesn’t stop there. Those darn emails keep on coming in! If you want to achieve Inbox Zen, the Inbox Zero might be it. This approach to email management was created by a guy named Merlin Mann, and sets the goal of having zero emails in your inbox. He believes it’s unproductive to have a chaotic inbox. We lose track of things that need to be done, things that are important. Let’s face it, we can end up in a big ole mess. You can achieve Inbox Zero by regularly deleting or filing everything; think of the saying ‘A place for everything, and everything in its place’! If this seems like a daunting task, then just be realistic about what you can manage. In fact your version of ‘inbox zero’ might be more like 30 or 50 emails, and that’s totally fine. You can feel proud of yourself for achieving this. The more de-cluttering you do, the better you get at it. Before you know it, you’ll have reached zero! You can find many handy tools online to help you manage your inbox. The most useful is a mail filter utility, which you can find in most email programs including Gmail and Outlook. You simply specify certain rules such as send to trash if ‘x’ or send to a particular folder if ‘y’. Then you can sit back and watch as your emails are automatically sorted. Very clever! You can download various apps to help with your email organization. Many are free, although you tend to pay for the more advanced ones. There are too many to name them all but here are a few of the more useful tools. Even better, they are free! Boomerang and FollowUpThen are apps that let you schedule reminders and follow up on emails at a later date. They also contain a handy‘snooze’ feature. This will temporarily remove an email from your inbox until you are ready to deal with it. Another useful program is called Sortd. This allows you to drag and drop your emails into columns according to when they need an action or response. It gives you an at-a-glance summary of what needs to be done. Moreover, it allows you to turn your email into a task or to-do list. Believe it or not, there is actually an app to make sorting your inbox into an enjoyable activity! The Email Game is designed to make sorting your inbox into something fun – is that even possible? In addition to cleaning out your inbox, you can challenge your friends and earn points! What’s not to love? So there you have it! I hope some of these tips will help you in your quest for a clutter-free inbox. Your inbox should be a calm place for sorting and redirecting, a bit like mail going through a post office. It should NOT be a space for harboring unwanted or neglected messages. Try investing some time and energy so you can reach your version of inbox zero. You can then utilize the various tools and strategies to help you keep it that way. In doing so, you will transform your inbox from chaos to clean in no time. Oh, and with your sanity fully intact!